Here is a blog I follow of a man I deeply respect. I love his words, his courage and most of all the way his challenges us to a surrendered life that brings about restoration. I hope you enjoy his words as well. The train platform was chaotic. A woman on a cell phone sprinted past me screaming, “someone do something!” I noticed an odd sight then. Normally a few over-anxious commuters stare down the track in the direction of the pending train, willing its arrival. However, this time every person had their head turned, body bent in that direction. 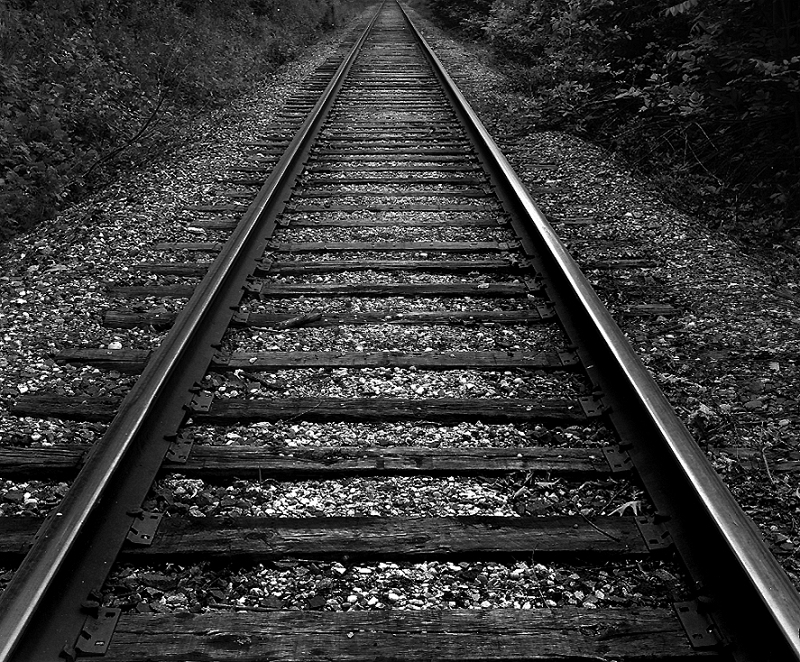 There on the tracks at the end of the platform was a man, his head on one rail, and his feet on the other. His hands were folded behind his neck, like he was in a hammock on a lazy afternoon. But this was 6:30am, and he was waiting to die. You want me to jump? Heart trembling I breathed deeply as I exited my car and headed for the door. Just walking those couple of feet to the door my heart increased in trepidation. I know something of fear and overcoming as I have sought out risk before but this day it was the constant companion. I am not sure if that is getting older and wiser or well just plain older. But here I was, at the door, ready for a two-hour class. As I walked into the building I come face to face with a large net and the trapeze bar hanging there, inviting, taunting and beckoning me to come over. A few instructions and one practice on the ground and then the belt goes on. Really? That is all it takes to climb the rope ladder up to the second story to jump. Yup. A safety harness that pretty much looks like just a wide belt around my waist with a few hooks and I am set to fly. My turn comes and I hesitantly begin the climb. Wow this is more fear inducing than I thought. I breathe…you can do this. I focus on just the inhale and exhale and then I get there. That tiny little platform hung by ropes that I am to stand on. Whew I made it. I saw those before me but there is something about having to reach out and grab that tiny little bar that sends shivers down my spine. I mentally check off…I am attached to a harness, I have the instructor pulling my weight back so I won’t fall, I have a large net below that will catch me, I have another instructor holding the rope and yet every fiber in my being is screaming….ARE YOU CRAZY! You want me to jump? But then it comes the call…1, 2, 3 Huah! Somehow the legs just won’t do it. I panic…..regroup. Okay ready. 1, 2, 3 Huah! Off I go….hanging by the bar. I hear the commands to swing my legs up…they won’t go. Goodness this is challenging. They finally find their way around the bar. Then the hands…letting go. Getting ready for the next move. Hands back on the bar, legs undone and now the back flip. 1, 2, 3 let go!! I effortlessly do a flip! WOW! That was amazing. I land in the net and just breathe a huge sigh of relief. Then reality hits I am doing this again. So I wait my turn and with each next attempt the fear climbs right back up into my body and I wrestle it to the ground and let go. My novice attempts at flying keep me tackling the fear that screams at me to stay on the ground. But if I never let go I wouldn’t be able to fly.